There are only a few vehicles that have withstood the test of time and become legends in their own right. One of these is the Jeep Wrangler. Ever since its inception, the Wrangler has been conquering the trails and our hearts. It’s hard to imagine that this SUV could continue getting better, and yet year after year, we are all proven wrong. 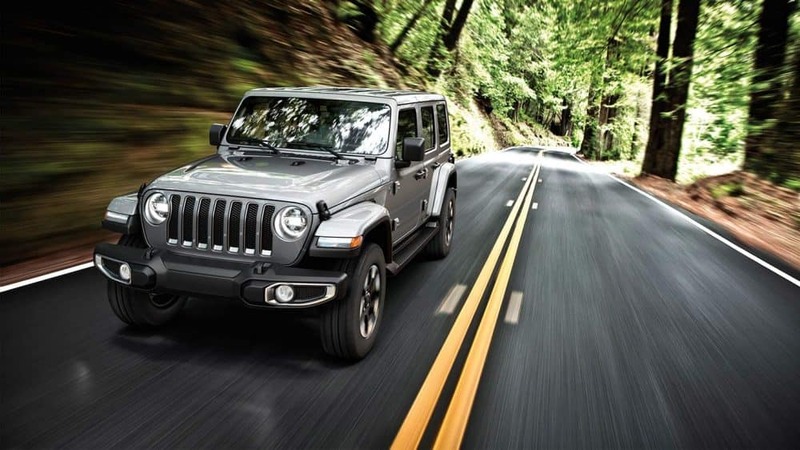 In the previous model year, the Wrangler was completely redesigned, which means that the 2019 model only has a few changes. The most notable changes include the availability of forward collision warning and adaptive cruise control in the model lineup. The 2019 Wrangler doesn’t need to prove itself off-roading, and with all of the additions in previous model years, the Wrangler doesn’t need to prove itself on the road, either. If you want to learn more about one of the most recognizable vehicles in the world, keep reading! What are some available safety features? 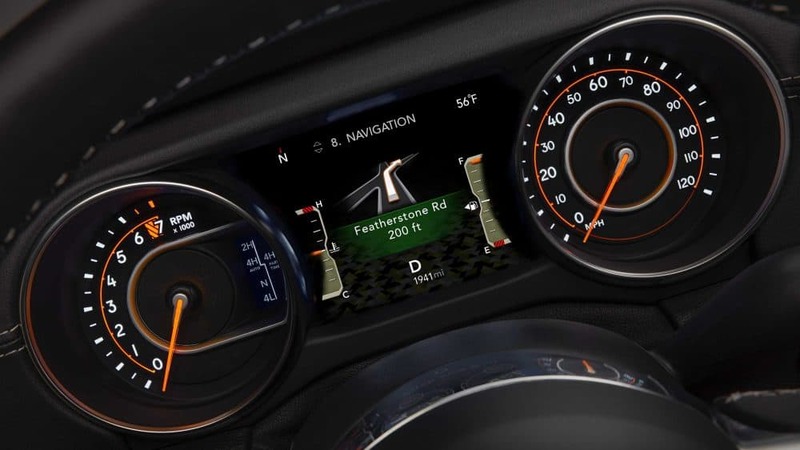 While you’re out having fun in your new Wrangler, you probably aren’t thinking about what kind of safety features are helping to keep you and your passengers safe. 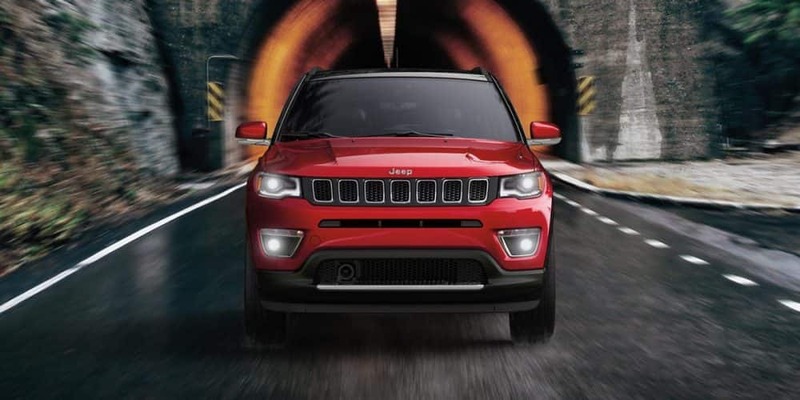 The good news is, you don’t have to think about those things, because Jeep has already dedicated large amounts of time in the design process to give you the driver assistance tools that you’re looking for. 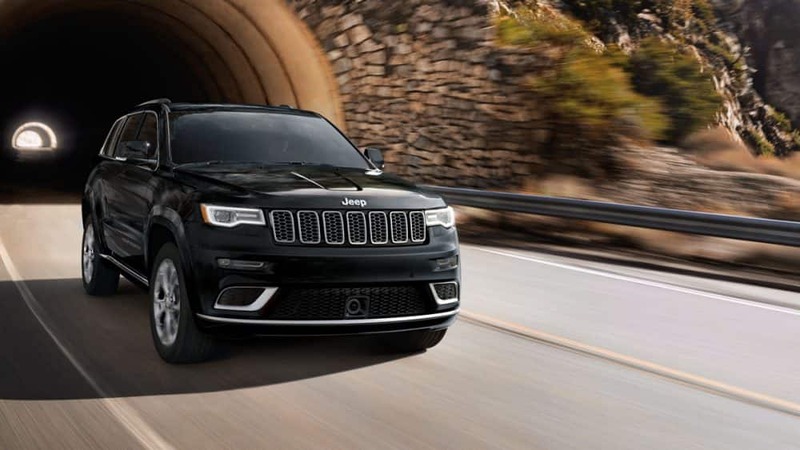 This is done through things like the available Advanced Safety Group package, which adds full-speed forward collision warning, adaptive cruise control, and even active braking. You’ll even find ParkSense rear park assist, a standard ParkView rear back-up camera, and even blind-spot monitoring! What are my engine options? Not only does this SUV come with many different safety features and trim levels, but you also get to choose between two engines! The engine that you’ll recognize with the Wrangler is the 3.6-liter V6, which cranks out 260 lb-ft of torque and 285 horsepower. This engine works with either a six-speed manual or an eight-speed automatic transmission. The other available engine is a 2.0-liter turbocharged 4-cylinder, which generates around 295 lb-ft of torque and 268 horsepower. This engine only comes with an 8-speed automatic transmission. 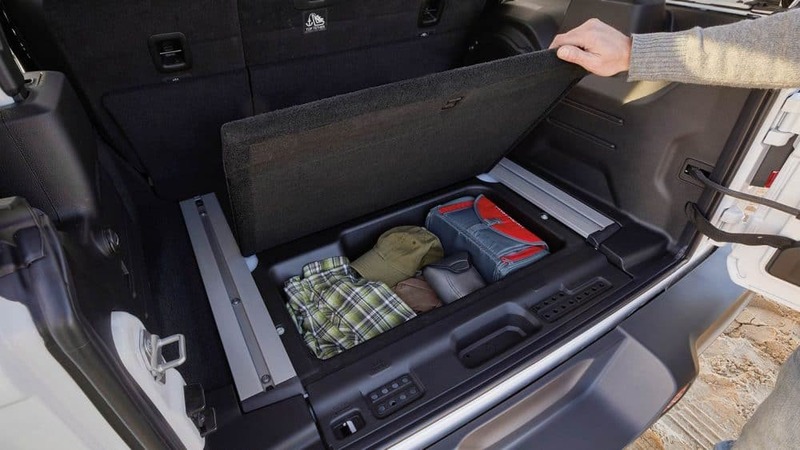 Don’t worry about four-wheel drive systems, as there are three different systems to choose from depending on the trim you pick. What trims come with the Wrangler? 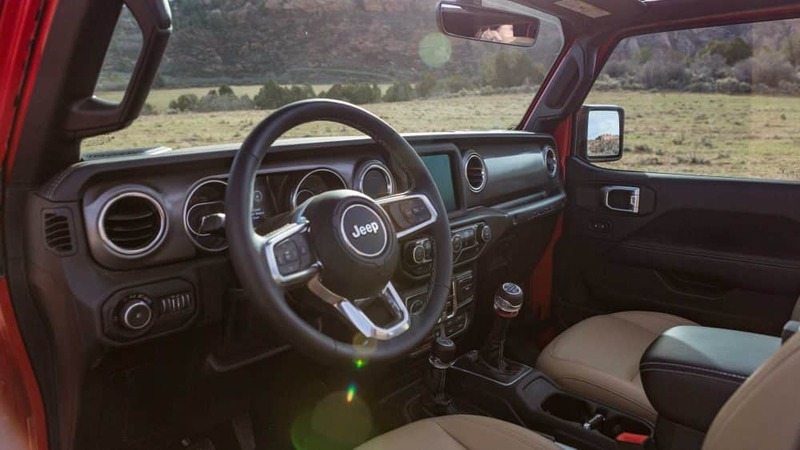 The Wrangler has made a name for itself with its off-roading capabilities, but one of the biggest perks comes with the available configuration options. The 2019 Wrangler comes with two body styles and up to five trim levels (the Sport, Sport S, and Rubicon trims are available with both body styles). The Sport trim comes standard with features like a USB port, a five-inch Uconnect touchscreen, a fold-down windshield, removable full metal doors, an auxiliary audio jack, cloth upholstery, Bluetooth, fog lights, a driver information display, a tilt/telescoping steering wheel, cruise control, an 8-speaker sound system, skid plates, 17-inch steel wheels, tow hooks, and a rearview camera. Another trim, just one level up, is the Sport S. This trim comes standard with heated power mirrors, alloy wheels, vanity mirrors on sun visors, heated power mirrors, a leather-wrapped steering wheel, automatic headlights, power locks and windows, remote locking and unlocking, an alarm, and air conditioning. The Moab trim is only available with the Unlimited configuration. This trim adds premium leather upholstery, rock rails, an 8.4-inch Uconnect system, an auto-dimming rearview mirror, black-painted exterior trim, mud-terrain tires, and a 9-speaker Alpine audio system. Nothing is more boring than a car that can’t adapt to its environment. 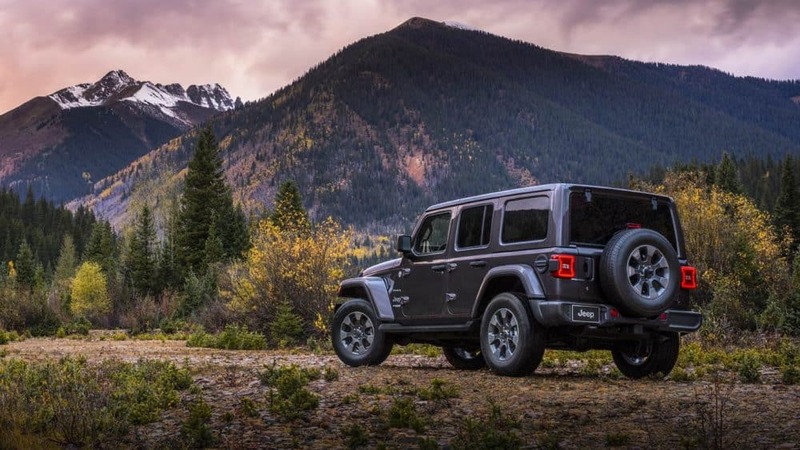 Luckily, the 2019 Jeep Wrangler is as adaptable as ever, holding the crown as the off-roading master, and taking control of on-the-road entertainment. There’s nothing this SUV can’t do, and for that reason, we hope we’ll see you at our dealership checking out our latest models!